Jan Lake is 50 miles west of Flin Flon Manitoba. 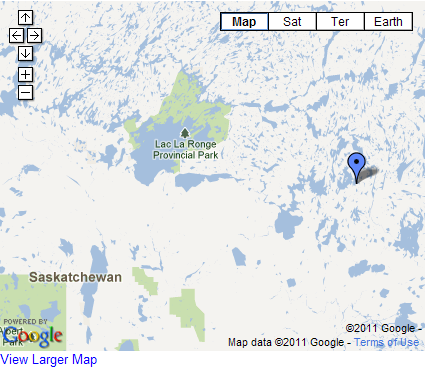 We are a drive-in camp located on Highway 135-off the PAVED Highway 106 in Saskatchewan. An airstrip is located 6 miles from camp.